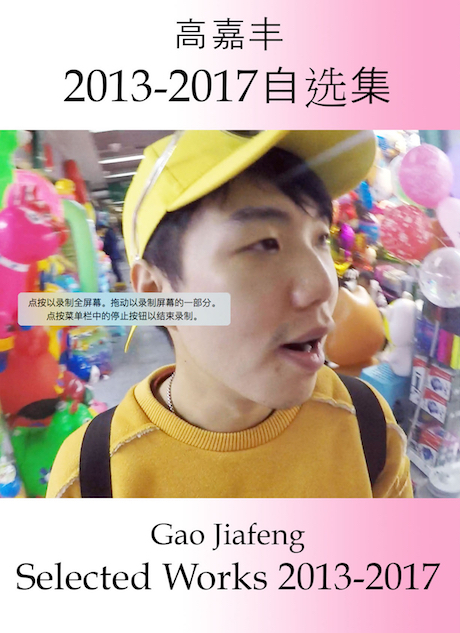 On this release, fiercely aberrant artist 高嘉丰 (Gao Jiafeng) presents a broad array of his recent work, ranging from dance music with Taobao-sourced lyrics, to electroacoustic experiments in algorithmic Internet stardom. Selected Works 2013-2017 自选集 is a whirling, welcome view into Gao Jiafeng's uncategorizable musical life. Limited run of 40 CDs in slim DVD cases with bilingual essay insert.